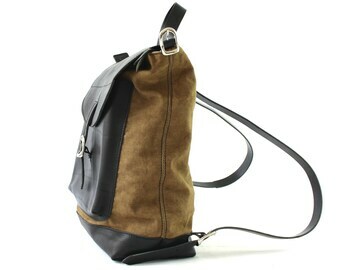 Leather BACKPACK in GREEN waxed canvas made in italy! Perfect for people who loves a free and original style!!! 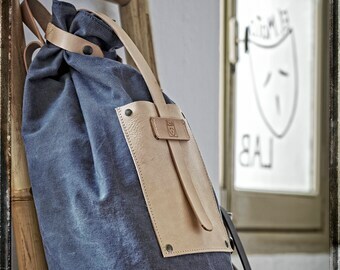 *This backpack is made exclusively using traditional crafts techniques, we have great attention to detail and we use only the best materials of Italian companies. 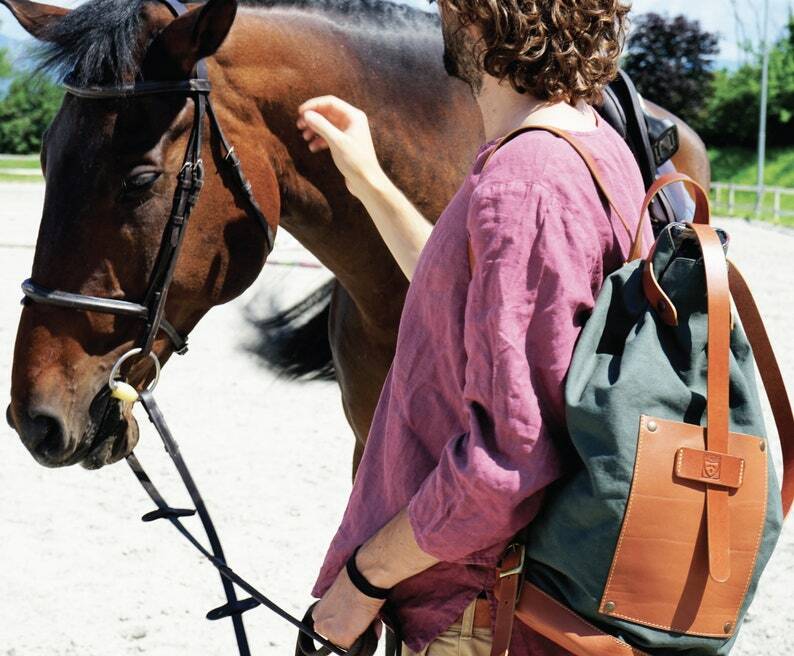 The leather that we used to make this backpack is full grain vegetable tanned leather and it is certified by the consortium of vegetable tanning! 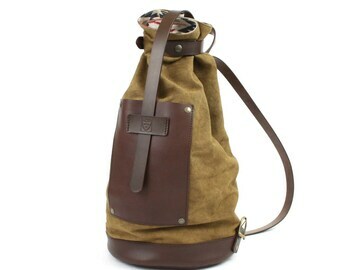 - the backpack presents a cylindrical base (circumference 31.52 inches). 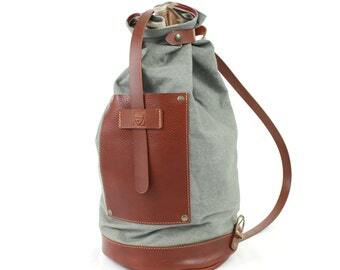 •The backpack is original and stilish, elegant and refined, but at the same time it is confortable, large, big, resistant and suitable for every opportunity. 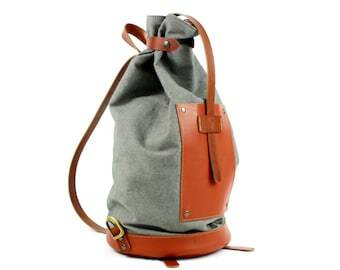 •The BACKPACK "Bottiglito" takes its name from the innovative shape designed by El Mato reminiscent a bottle and characterized by its uniqueness in shapes and materials. 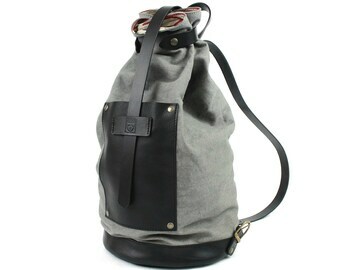 •the outer GREEN canvas is combined with genuine leather of the pocket, the bottom and the belts. 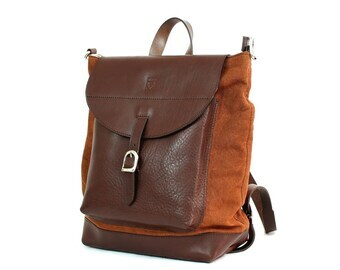 •The leather bottom makes backpack longest and with time and use will become even more beautiful and lived. •The inside in pattern ALCANTARA gives a touch of style to the already fine outer fabric ----------> Choose your pattern and tell us your favourite! •Inside there is a large pocket! •Its original closure accordion is made possible by two pairs of snap clips and a leather strap! 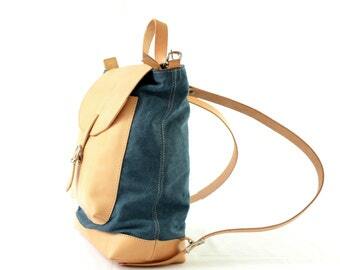 •The backpack is UNISEX and it can be worn as a walking backpack, a BAG, work backpack, man backpack, woman backpack, laptop backpack, travel backpack, weekender backpack.